For those of you who do not possess a donut pan, this is a recipe for you! These are balls of donuts that are gluten free and fairly low in carbs. They are baked in the oven too which keeps it healthy. You could use various coatings too, cocoa powder, cinnamon or dessicated coconut. As ever, I do not use sugar, but used ertythritol, which I ground down in my hand blender so that it looked like icing sugar. Cream the butter, vanilla, stevia, salt and ground erythritol together and beat well. Add the coconut flour and let the dough sit for 1 minute. 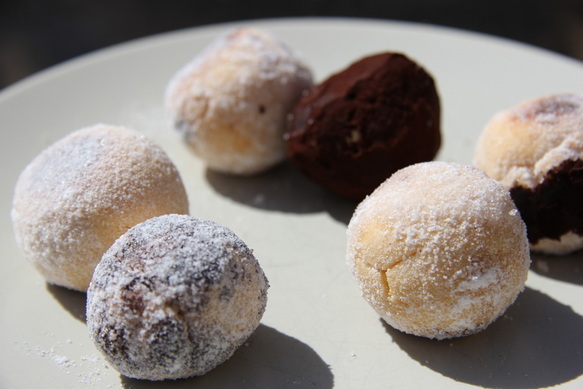 Make small balls from the dough and place on a baking tray lined with parchment paper. Bake for 15 minutes until golden. Turn over half way through cooking. Cool ,the dip the balls into the dusting of your choice. 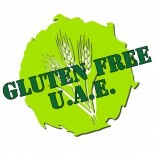 This entry was posted on 06/02/2012 by glutenfreeuae in Baking, Recipes and tagged donuts, gluten free, glutenfree.